To find out more about the latest E-Series enhancements, check out the video, in which NetApp EVP George Kurian explains the NetApp portfolio and where E-Series fits, read the press release, and find out what bloggers and trade magazines are saying. Who's Watching Your Storage While You're Watching Them? 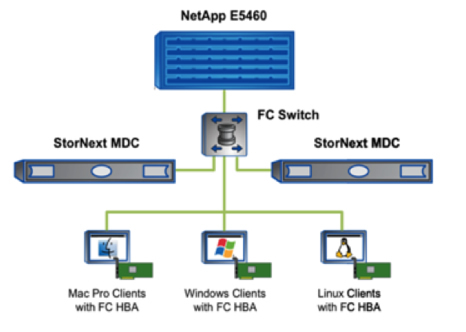 In November 2013, NetApp introduced a number of additions to our E-Series product line, including the new E2700 model and enhancements to our flagship E5500. (A new addition to the NetApp® EF-Series of all-flash storage arrays was also announced. You can find out more about that in another article in this issue.) E-Series is a great choice for situations where you need dedicated storage—especially where data management functions are handled by the application. Figure 1) E-Series product line. E-Series is designed to make SANs simple, with dynamic disk pools to eliminate RAID management; robust I/O queuing algorithms optimized for SSDs; proven high availability; and out-of-the-box features including mirroring, replication, point-in-time recovery, and thin provisioning. I get a lot of questions about how E-Series fits in the NetApp portfolio, so I thought I'd start by answering those questions before digging into the specifics of products and use cases. If you're not familiar with the E-Series design and speeds and feeds, Tech OnTap published an introductory article in March 2013, which is a good place to start. Dedicated storage. FAS is designed as shared storage; lots of different workloads share the same storage system. E-Series is a better fit for applications that need dedicated storage such as SAN-based business apps, dedicated backup targets, and high-density storage repositories. Data management. FAS integrates a wide range of data management, data protection, and storage efficiency features as part of the storage system. However, if you have an application that manages its own data, those capabilities might just sit idle, and E-Series is a great alternative. Where FAS delivers incredible storage efficiency, E-Series is designed to deliver performance efficiency with excellent price/performance from entry to enterprise, maximum disk I/O for minimum cost, and sustained high bandwidth and IOPS. Does not run Data ONTAP®. E-Series systems run a separate operating environment called SANtricity® that is unrelated to Data ONTAP. Block only. E-Series is simple, streamlined SAN storage designed to deliver superior price/performance. E-Series does not directly support any NAS protocols. Direct host connections. All E-Series models can support direct high-speed SAS connections to hosts. You can share a single storage system among a small number of servers without the complexity of a network or SAN. SSD capable. All E-Series models can support both SSD and HDD. You can use SSDs as persistent storage or as part of an SSD cache. Highly available. All E-Series configurations can be configured with dual controllers for high availability. In fact, E-Series delivers 99.999% availability, just like FAS. NetApp AutoSupport™ is available for the E-Series platform. Not just for HPC. E-Series cut its teeth in scientific and technical environments and remains a great fit for those applications. However, it's also becoming popular for a wide range of business and general use cases. Plays well with FAS. Increasingly, we're seeing use cases that combine the strengths of FAS and E-Series storage. Check out the other articles in this issue on the EF550 and Oracle OpenWorld highlights for examples. Up to 192 disk drives are supported for a maximum raw capacity of 768TB using 4TB drives. Enclosure options include 12-, 24-, and 60-disk enclosures, as with other E-Series models. Disk options include a variety of SSD, SAS (10K RPM), and near-line SAS (7.2K RPM) drives in varying capacities. Different drive types can be mixed in a single storage system, providing a hybrid storage solution. The E2700 offers greater IOPS and almost twice the bandwidth of its predecessor, raising the bar on entry-level storage performance and allowing you to do things you just couldn't do before at this price point. Another advantage of the E2700 is that with dynamic disk pools (DDP), setup is extremely simple, making it a good choice for locations where administrators wear a lot of hats, and for remote spots where technical expertise may be limited. You power up the array, give it a name, and answer "yes" when asked if you want to use DDP. You then tell the software how many partitions you want and how big they should be, and you're done. The installer doesn't have to know anything about RAID, striping, or data layouts to get great results. Check out this Tech OnTap article for more about DDP. The E2700 supports a variety of use cases. Simple SAN. If you have limited management resources and your environment is growing, an E-Series system can be a great choice. 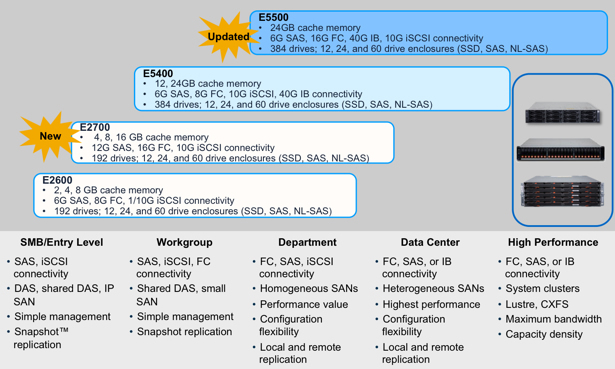 E-Series is the industry leader for price/performance and includes a variety of enterprise features not found in other entry-level SAN storage. A number of plug-ins support management integration with common enterprise software from VMware, Microsoft, and Oracle. Backup to disk. If you need cost-effective secondary storage to deal with exponential backup data growth with backup solutions from providers such as CommVault or Symantec, E-Series is a cost-efficient solution that is both scalable and secure. Video surveillance. Capturing and retaining data from video surveillance is increasingly challenging as higher resolutions increase capacity requirements and longer retention periods slow performance for video recall. E-Series offers high performance for video capture and the dense capacity you need to support data growth. Ease of use, serviceability, and reliability make it a top choice, and E-Series has the performance to process real-time video applications. 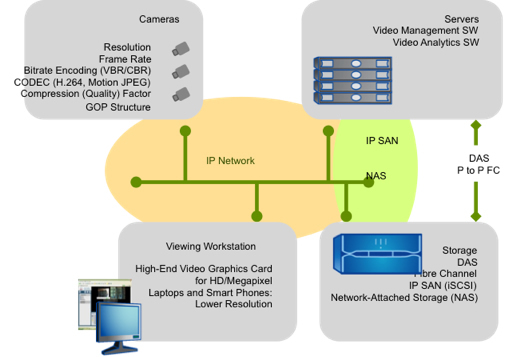 Figure 2) Video surveillance infrastructure with E-Series. The E5500 is a bandwidth beast, with up to 12GB/sec of sustained bandwidth and up to 400,000 sustained IOPS. It's recently been enhanced with 16Gb/sec Fibre Channel and 10Gb/sec iSCSI Ethernet connectivity. It supports 120 SSDs or 384 SAS drives for a maximum capacity of 1.5PB (using 4TB NL-SAS disks). The E5500 can address all the use cases just described for the E2700: simple SAN to support business applications, reliable target for disk backup, and video surveillance. For any of these use cases, you simply choose the E-Series model that best matches your capacity, scalability, and performance requirements. Naturally, NetApp and our partners can help you select the best option. In addition, the E5500 is an excellent choice to address performance needs in media and entertainment applications. The E5500 is able to address bandwidth limitations, provide multi-petabyte scalability, and deliver low-latency ingest and playback performance for online and offline editing. Configured with a global file system such as Quantum StorNext and 16Gb/sec Fibre Channel, the E5500 can stream data like no other solution in its class. Figure 3) Typical media configuration with StorNext file system and FC connectivity. A media company chose E-Series storage to support CGI-rich 3D film work. A number of E-Series configurations are used to support 2K and 4K video, while a FAS2240 system supports general file rendering and is used on location to support postprocessing of daily filming. E-Series has been extremely successful in scientific and technical fields because of its outstanding performance efficiency and storage density. These same attributes are making E-Series attractive for a broader set of application environments, including business users who are discovering the value of E-Series for its simple and flexible management, proven enterprise-level reliability, and availability. Mark has deep experience with marketing, product management, and systems engineering in storage, storage networking, networking, data protection, applications, archiving, and HPC design and operations. He enjoys presenting to and conversing with customers and groups, solving problems, making videos, and winning in the market. Little confuse with Fig 2, why NAS ? I thought E Series is just block. My understanding that could means the n=back-end storage array which could be NAS, SAN, DAS, iSCSI & FC etc. Any one has part number for iSCI HIC card?